Every runner hopes for eight hours of shut-eye the night before a big race, but making that happen is easier said than done. Sometimes tossing and turning is inevitable, but there are things you can do to score a better night's rest. Grab a pillow and get comfortable, because you're about to get very sleepy. One of the things that will keep you awake is anxiety about being awake. You might be thinking, "How can I run my best if I haven't slept a wink?" But remember, one night's sleep will not make or break a race. 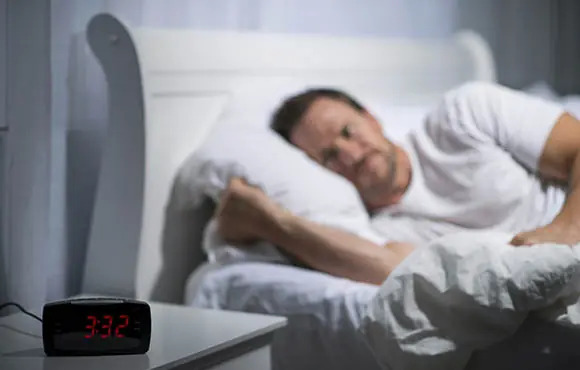 In fact, many experienced runners will tell you that the most important time to get a good night's sleep is the night before the night before a race. In the days and weeks leading up to your event, really try to prioritize shut-eye. That way, if you're unable to sleep on race eve, you'll have plenty of Zzz's in reserve. In the days before the race, pay attention to your afternoon and evening routines. Now might be the time to skip your usual mid-afternoon latte or to move your evening runs to the morning so you aren't too wired before bedtime. You may also want to nix the nightcap—alcohol can make you drowsy at first, but studies show that it can also disrupt deep sleep. And although most runners do this anyway, steer clear of overly fatty or spicy foods. Anything heavy or unusual can do a number on your digestion and keep you awake. If pre-race nerves are keeping you up at night, take a few minutes to picture an ideal race day. Imagine yourself waking up well rested and envision a smooth, uneventful trip to the starting line. Finally, see yourself running the race looking fast and strong. Visualizing success might be all you need to relax and calm your nerves. It will be hard to fall asleep if you're going over your different options for race day attire. Before you head to bed, assemble anything you'll need for the next day. Choose your outfit (right down to the socks and body glide), charge your electronics, make a plan for breakfast and set two alarms. Knowing you've done everything you can to prepare for the race should calm your mind and help you snooze. Prior to the race, figure out a bedtime routine that leaves you feeling relaxed. This might include eating a carb-rich snack like a bowl of cereal about an hour before bed, dimming the lights around the house, doing some light stretching, or reading a favorite book. Having a routine helps your body get the message that when you do X, it's time for your body to wind down. To get the best sleep possible, you'll want to prepare your bedroom. Lower the temperature, close the curtains and turn the alarm clock away so you don't have those bright numbers staring you in the face. You might also consider some white noise such as a fan or humidifier. Once everything is cozy, you'll be asleep before you know it. What if you find yourself unable to sleep at 3 a.m.? Have a plan. Knowing what you'll do in this situation may actually prevent it from happening. Maybe you'll brew a cup of herbal tea, perform a mindless chore like folding laundry or read a book. Whatever you do, don't stay in bed stewing about lost sleep. In the grand scheme of things, a few hours won't make that much of a difference, but stressing out about it can.